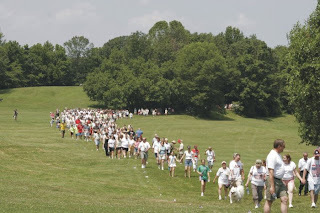 Operation First Response (OFR) is inviting people from all over the Delaware Valley to participate in Pennsylvania Third Annual WALK FOR THE WOUNDED on Saturday, May 22nd at Rose Tree Park in Media, PA. The money raised for this 2 mile walk benefits wounded soldiers and their families. Phil Marteli is the St. Joseph's head coach, Jay Wright is Villanova's head coach.